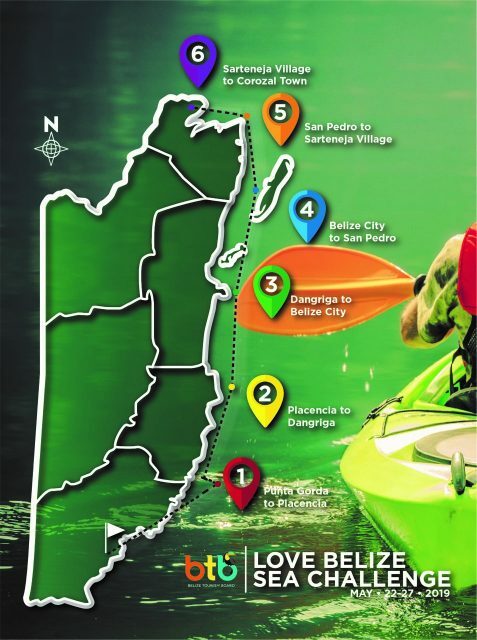 Welcome to the BTB Love Belize Sea Challenge 2019! 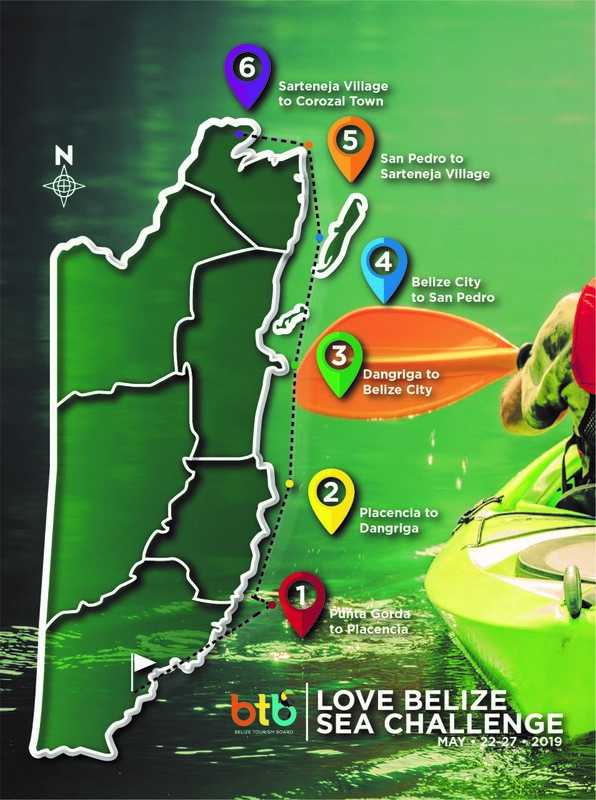 This 6 day kayaking journey will take you from the south to the north of Belize, covering an enormous 218 miles! 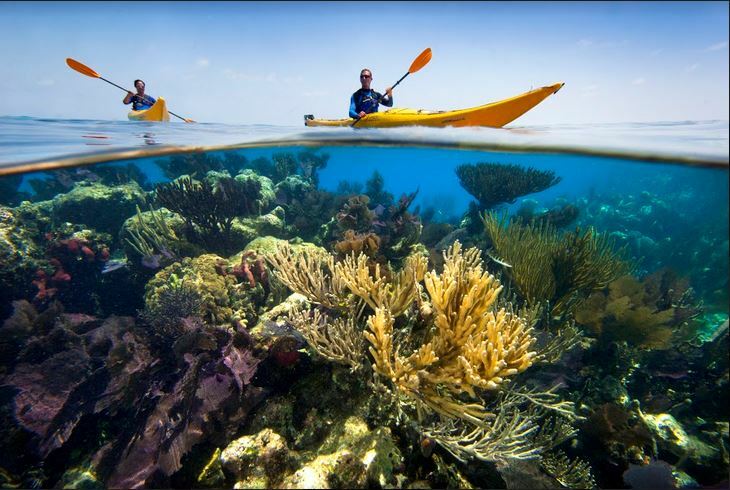 As you paddle, through crystal clear waters, you will discover the world of tropical islands and thousands of coral reefs overflowing with life. Besides providing you with truly unforgettable scenes and once in a lifetime experiences, the race will showcase the true heart of Belize; highlighting its rich cultural history as local communities along the coast provide traditional food and music. This will give you the chance to see Belize from a local perspective. Furthermore you will be able to see the importance of protecting and conserving Belize’s natural and cultural resources and create environmental awareness for this pristine coast line. This competition s not organised or operated by Pioneer Expeditions, but due to our connections with kayaking in the area, we are happy to promote it. The competition will start at precisely 5am on Wednesday the 22nd of May 2019 in Punta Gorda. Over the next 6 days you will travel north along the coast of Belize, taking overnight breaks at designated towns and villages on the way, finally reaching Corozal Town on day 6, Monday 27th May 2019. There are 3 different categories of competitors, namely Male, Female, and Mixed teams (2 males 2 female), and there will be US$15,000 available in cash prizes and trophies up for grabs!